US smartphone litigation data: can you help? "We can't find enough data about lawsuits between the companies (numbers per year and companies involved, patents filed by the industry ( per year or per quarter, per company).... In general, we lack data in this area. That's why we are asking for your help, and if you can please guide us in order to seek for statistics efficiently or provide data". If any kind soul can point these students in the right direction, PatLit will be happy to know that it has been of some assistance. Please post links to relevant sources below or email Othmane Ouhaddach here. The upper line is non-RCE serialized applications and the lower line is provisional applications. Both show filings at more than ten times the normal volume. In the light of recent press coverage of the German litigation between Nokia and HTC (eg here, here, here and here), PatLit has received the following clarificatory statement from Laura Whiting (Hogan Lovells, who acted for HTC). You may have seen recent reports of the judgment of the Mannheim District Court in case 2 O 119/12, one of a number of cases between Nokia and HTC that have been heard or will be heard this year. There appears to have been some confusion in the press reporting of the case in relation to the scope of the action and therefore of any injunction, should Nokia choose to enforce the ruling. It might be helpful to clear this up. To be clear, any injunction will apply only to three old HTC phone models – it will not affect any other HTC phones. The judgment in German shows that the dispute revolved round the infringement of EP 0 673 175 – a patent concerning a niche piece of code for power reduction when the phone is in the GSM idle mode. HTC has implemented a workaround. The case (and therefore any injunction) concerns only three phone models: the HTC Rhyme, Wildfire S and Desire S, all of which are all superseded models. 4. We furthermore note that the specified profits in the amount of Euro ● million [actual sum redacted] according to Defendants' submission should relate to the sale of all HTC devices in Germany. However, the present complaint challenges only three different embodiments. [ie. the Rhyme, Desire S and Wildfire S] The profits generated from the sale of all devices, thus also cannot serve as the basis for the provision of a security bond in the present proceedings. It is not known, what portion of the alleged profits should relate to the infringing embodiments. The affidavit thus is in any case not suitable to demonstrate any losses resulting from enforcement with regard to the infringing embodiments. c) product designation: Rhyme, equipped with a chipset of the company Qualcomm with a baseband processor MSM 8255 and sender-receiver QTR 8615 GSM/W-DDMA. The chipset-supplier of the Defendant, the company Qualcomm, has its registered offices in the United States of America. 3. In Germany, a bank guarantee must be provided before an injunction can be enforced (this is referred to as a bond). The value of the bond to be deposited against enforcement is set according to the scope of the injunction. In this case, the amount of the bond Nokia must pay to enforce the injunction was set with reference to the three phone models named in the suit only rather than HTC's whole product range (in which case the bond amount would be much larger). Any injunction is therefore also limited to these three phones. In proceedings earlier this month, as reported by FOSS Patents here, the District Court of Mannheim dismissed an infringement complaint brought by Nokia against HTC, alleging that HTC infringed the German part of its EP0812120 patent for a “method for using services offered by a telecommunications network, a telecommunications system, and a terminal for it.” The court also awarded HTC its legal costs. Following last week’s general overview, this week’s post looks specifically at the jurisdiction of the Unified Patent Court and its component divisions. Next week’s post will look at the early stages of a claim, including the choice of forum. However, before choosing a forum, a claimant must first establish whether and where they have jurisdiction to bring a claim. The UPC will eventually have exclusive jurisdiction over existing and prospective European patents, Unitary Patents and supplementary protection certificates (Art 3 of the Agreement). In the case of European patents, decisions of the UPC will cover only those contracting member states for which that patent is designated (Art 34). During the seven-year transitional period following implementation of the UPC, national courts and the UPC will share jurisdiction over the infringement and revocation of European patents (Art 83). Additionally, patentees may opt their European patents (but not Unitary Patents) out of the competence of the UPC entirely during the transitional period (Art 83(3)), meaning that only national courts would be competent to hear claims relating to that patent. Once opted out, patentees may opt back into the jurisdiction of the UPC any time they wish, i.e. even after the transitional period has expired (Art 83(4)). Neither the Agreement nor the current draft of procedural rules contain any disadvantage for a patentee where they opt out and later opt back in. This arguably incentivises patentees to opt-out to avoid pan-European revocation in the UPC Central Division, only to opt back in when it is advantageous to enforce the patent across Europe. The Commission noted some specific points requiring ‘careful attention’ (see p.4), recommending clarificatory amendments to both the UPC Agreement and the recast Brussels Regulation. The recast Brussels Regulation makes no reference to the UPC, although some limited amendments have been made to the UPC Agreement. The Commission recommended that a new article be inserted, providing for the “applicability of the Brussels I Regulation and specify that the UPC will have jurisdiction any time a court of a participating Member State has jurisdiction on the basis of the Brussels I Regulation.” Article 31 of the final version of the UPC Agreement has been added, which specifically refers to the application of the recast Brussels Regulation, although the manner in which its specific provisions will apply is unclear. By illustrative contrast, the Community Trade Mark Regulation (CTMR) expressly recognises its relationship with the current Brussels Regulation. Recital 16 says that “[t]he provisions of [the Brussels Regulation] should apply to all actions at law relating to Community trade marks, save where this Regulation derogates from those rules”, and Article 94 of the CTMR expressly states which provisions of the Brussels Regulation either do not apply or are modified by the CTMR. With the above points in mind, and noting that the compatibility of the recast Brussels Regulation with the UPC Agreement is not crystal clear, particularly regarding the ‘exclusive jurisdiction’ provisions of the recast Brussels Regulation at Article 24(4), I will now turn to the specific jurisdiction provisions of the UPC. The following is based on the assumption that the Commission’s views as expressed in the ‘non-paper’ are correct. “the local division hosted by the Contracting Member State where the actual or threatened infringement has occurred or may occur, or the regional division in which that Contracting Member State participates”. In many cases, the defendant will have sold an accused product in several Contracting Member States, providing the claimant with a choice of venues in which to bring a claim. · a patentee can clearly sue a defendant in the country in which it commits an infringing act. However, on a literal reading neither Art 33(1)(a) nor the provisions of the Brussels Regulation allow a court to take jurisdiction over co-defendants which have not committed infringements in that given state. · a patentee can clearly sue a defendant in the country of its domicile or place of business. Jurisdiction can then be taken over co-defendants based in other countries based on the domicile of the ‘anchor’ defendant under Art 33(1)(b) or Article 8(1) of the recast Brussels Regulation (formerly Article 6(1)). The extent of the jurisdiction over co-defendants is dependent on the interpretation of either the terms ‘commercial relationship’ and ‘same alleged infringement’ (Art 33(1)(b)) or whether the claims are “so closely connected that is expedient to hear and determine the them together to avoid the risk of irreconcilable judgments resulting from separate proceedings” (Article 8(1)). Member state and EU courts are familiar with the latter formulation, but the scope of the wording of the UPC Agreement remains untested. Parties may also agree to the jurisdiction of any division of the Court of First Instance, including the central division (Art 33(7)). Where a party has no residence or place of business in a contracting member state, the division of the contracting member state where the infringement takes place and the central division have jurisdiction (Art 33(1)). Although the manner of application of these provisions is as yet uncertain, they may present a further solution to one of the concerns of stakeholders expressed during the drafting of the UPC Agreement, namely the prospect of having to defend an infringement action before a local division which is either inexperienced or which might adopt an unjustly pro-patentee stance. Whilst the provisions relating to multinational judicial panels (Art 8) are already designed to mitigate such problems, in addition it could be possible to structure a company’s distribution network to ensure that no acts are undertaken by a person having a domicile or place of business within the territory of a ‘rogue’ local or regional division. In such circumstances, a patentee would still be able to sue the infringing distributor in the ‘rogue’ division in respect of acts taking place within that country/region, and in respect of acts performed by that same defendant in other contracting member states. However, in order to take jurisdiction over other defendants associated with that distributor, the claimant would have to commence proceedings in either the division of the distributor’s domicile or the domicile of one of its co-defendants. A company or corporate group could therefore potentially ring-fence its operations in the event that, say, a particular court became the go-to venue for non-practising entity litigation. Such a strategy would not deprive a patentee of the possibility of fairly asserting its patents under the UPC – a defendant or an entity with which it had a ‘commercial relationship’ would be very likely to have a place of business in at least one contracting state, or proceedings could be commenced in the central division – but it may be possible to mitigate against unfair forum shopping to some extent. The efficacy of such a strategy would be dependent on national laws relating to accessory liability, however (see below). A defendant may lodge a preliminary objection within one month of service of a statement of claim to challenge the jurisdiction and competence of the UPC or the competence of a particular division (currently, Procedure Rule 19). As noted in 2009 by Mr Justice Arnold (at p.8 of the linked document), the Agreement does not contain any provisions about accessory liability, meaning that questions of the ‘procurement’ of infringement and joint tortfeasorship may fall to be determined under national laws, which are not harmonised across the EU. For example, if a patentee wished to sue the US parent of a UK-based infringer in the UK local division, it would have to make out a case under the applicable English law that the parent was either a joint tortfeasor or had procured the acts of infringement, i.e. assuming the US parent had not directly performed any infringing acts in the EU. Such a determination is, under English law, dependent on the facts of the individual case. Other countries will have their own approaches to these issues, and concepts of separate corporate personality versus ‘single economic entity’ approaches may differ between the national laws of the contracting states. Such national rules would need to be taken into account when designing any ‘ring-fencing strategy’. The UPC has ‘exclusive competence’ in respect of the specified types of actions listed in Art 32(1), including infringement, revocation, declarations for non-infringement and preliminary injunctions. Entitlement proceedings are not included, which remain within the competence of national courts (Art 32(2)). As lack of entitlement is itself a ground of revocation under the national laws of many contracting states, entitlement may potentially be raised as part of a revocation claim or counterclaim. There is no express provision for the making of declarations as to matters such as the essentiality of a patent to a given standard, although such declarations might be sought either as a defence to an infringement action or as part of a declaration for non-infringement. · refer both parts of the claim to the Central Division (Art 33(3)). Article 33 also details with situations where infringement and invalidity proceedings are already pending before other divisions of the UPC (Art 33(2), (4), (5) & (6)). If there is no local or regional division for a given contracting member state, then actions shall be brought before the central division (Art 33(1)). Article 21 relates to the role of the Court of Justice of the EU. Except for the biotech directive and the supplementary protection certificate regulation, the substantive laws relating to the infringement and validity of patents are largely untouched by EU law. There has been a deliberate and concerted attempt to avoid the jurisdiction of the CJEU in substantive patent law matters, and specific provisions relating to infringement laws were removed from the Regulation on creation of the Unitary Patent. As the UPC Agreement is not technically an instrument of EU law, the substantive infringement provisions will also, at least in theory, fall outside the competence of the CJEU. Time will tell if the CJEU will nevertheless take jurisdiction over these matters. Polymer Logistics (Israel) Ltd v DS Smith Plc, a Patents Court for England and Wales decision of Mr Justice Mann on 7 March (not available on BAILII), addressed the question of when a patent owner might be able to apply for and obtain an expedited infringement trial. PLI had a patent for a pallet dolly system and sought a speedy trial of an alleged infringement by Smith, with which PLI held a virtual market duopoly. Initially the trial date was set for March 2014, but PLI sought to expedite that hearing to July 2013, maintaining that a lack of expedition would be seriously unfair. Why was this? PLI was concerned that the expected market standardisation of pallets would occur over the next six months and that this would be in Smith's favour, with the result that PLI would not be able to penetrate the market further. Smith's pallet system was already used by Tesco, a large United Kingdom supermarket chain, and was also of potential interest to other supermarket chains and food suppliers. Another supermarket chain, Morrisons, had trialled PLI's products but had put those trials on hold. According to PLI, there was a strong market interest in the standardisation of pallets and that Tesco's acquisition of large number of Smith's pallets meant that Tesco might confine itself to that product in the future, generating a "domino effect" on Tesco's suppliers. This in turn would precipitate a de facto pallet standardisation which, PLI argued, would occur before the original trial date in March 2014. 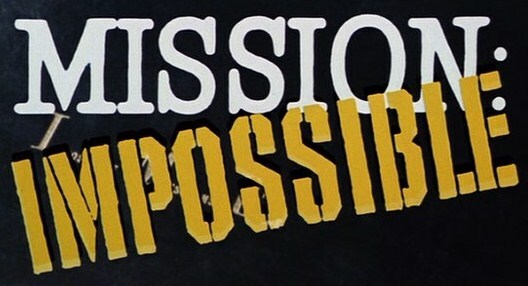 Once de facto standardisation had occurred, said PLI, it would be impossible to undo. This would mean that victory in a subsequent patent infringement trial would be hollow and damages would be an inadequate remedy. Mann J declined to order an expedited trial. In his view, an application for an expedited trial had to demonstrate a real and justifiable urgency. PLI could not be said to have shown that this was the case. While it was clear that Tesco was using Smith's product, the evidence demonstrated that supermarkets were cautious in relation to major changes affecting logistics. This was because any breakdown in logistics would be disastrous; accordingly it was not conceivable that the market would come together within six months to flood the market with Smith's product. It had not been proved that the original trial date of March 2014 had suddenly become inappropriate, so the application must be refused. The U.S. Court of Appeals for the Federal Circuit reviews legal rulings by district court judges in patent cases without deference. On the other hand, the court grants deference to lower court factual findings, disturbing them only when they lack “substantial evidence.” Under that standard, the appeals court considers the entire record and upholds findings if they are supported by sufficient relevant evidence for a reasonable mind to accept as adequate. The court's full order is HERE. Together with sponsoring law firm Taylor Wessing, the Institute of Brand and Innovation Law (IBIL) of UCL is holding a conference on Tuesday 11 June under the title "The role of experts & scientific advisors in Patent Litigation in the EU". 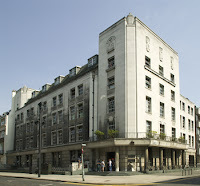 The venue is UCL's, Faculty of Laws Building, Bentham House, Endsleigh Gardens, London WC1. This is an all-day event, running from 8:45am AM to 6:00pm, and offering an impressive array of speakers from both sides of the Atlantic. Further details of this event, including registration, may be accessed by clicking here. "The House of Lords and this court have emphasised on a number of occasions the desirability of national courts following the established approach to infringement of the Technical Board of Appeal of the European Patent Office (“the EPO”), and the German Bundesgerichtshof (“the BGH”) have taken the same view – see, most recently, Human Genome Sciences Inc v Eli Lilly & Co  UKSC 51,  1 All ER 1154, paras 84-87, and Case Xa ZR 130/07". The technical boards of appeal and the Legal Board deal with appeals filed in relation to decisions reached by the first instance in the patent grant procedure, that is the Receiving Section and the Examining, Legal and Opposition Divisions. They decide on questions relating to the granting of and opposition to European patents under the European Patent Convention, but not on questions of patent infringement. PatLit thanks Gary Moss (EIP) for digging up the EPO link for us. The ruling of the UK Supreme Court today in Schütz v Werit, already noted briefly on the IPKat weblog, is subjected to a rather longer and more detailed analysis below, prepared by Hogan Lovells partners Daniel Brook and Stephen Bennett (Hogan Lovells acted for Werit in these proceedings). PatLit thanks the crew at Hogan Lovells for getting this note ready for posting on this weblog so speedily. When does replacing a consumable part infringe a patent? The UK Supreme Court ruled today on the tricky question of when replacing a consumable part of a larger device is an act of patent infringement. The unanimous decision of five justices of the Supreme Court makes it clear that the test is not a simple mechanical test of whether the replaced part is a feature of the patent's claims. Rather, the issue is more nuanced, taking into account a range of factors including: whether the replaced part in any way embodies the invention; and whether that part is expected to be replaced in the normal working life of the larger device. Significantly, the case brings English law more closely in-line with equivalent German Supreme Court case law. Schütz and Werit, the parties to the case, are both manufacturers of containers called Intermediate Bulk Containers (IBCs). These are containers designed to carry liquids and powders in approximately 1,000 litre volumes. 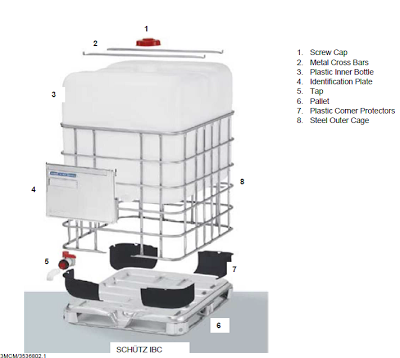 As shown below, an IBC is made up of an outer metal part (the cage), an inner plastic container (referred to as a bottle), a pallet base, tap and lid. IBCs are used to transport chemicals. It is common that the bottle will be contaminated after one journey carrying chemicals so that it cannot be re-used. The cage, however is more durable with a life of up to five years. As a result, there is a practice of replacing the inner bottles of the IBC so the IBC can be re-used. The standardized outer dimensions of IBCs mean that the inner dimensions of the cages are largely the same between manufacturers. The result is that the bottle for a Schütz cage will fit into a Werit cage and a Werit bottle in a Schütz cage. The practice of putting one manufacturer's replacement bottle in the cage of another is known in the industry as "cross-bottling". Schütz objected to the cross bottling of Schütz cages, suing Werit for infringement of Schütz' patents by supplying Werit bottles to companies that replace the bottles in used IBC cages, including Schütz' cages. Schütz' objections were originally based on three patents. Schütz dropped its case on one patent EP 673,846 before trial and lost on infringement of a second EP 370,967 at trial (its own cage did not meet the claim requirements). At first instance, Floyd J held that replacing the bottle in a used Schütz IBC with a Werit bottle did not infringe the remaining patent EP 734, 967 ("EP 967"). He reasoned that the bottle was not part of Schütz' invention and that replacing it was not an act of making the claimed IBC. In the Court of Appeal the decision went the other way with Sir Robin Jacob holding that replacing the bottle must be making because, in essence, the bottle is a claim feature. The Supreme Court reversed the Court of Appeal and held that there was no making by replacing the bottle and accordingly, Werit (represented by Hogan Lovells), had not infringed by supplying replacement bottles. Although Schütz' invention lay only in the weld joints, it had chosen to claim a complete IBC including the bottle, lid and tap (see feature [A]). Schütz' case was that anyone who inserted a non-Schütz bottle in a used Schütz cage thereby made an IBC falling within the claim and so infringed. The leading case before Schütz v Werit was United Wire v Screen Repair Services  RPC 24. In that House of Lords case, the two patents in issue related to vibrating sifting screen assemblies for use in machines that cleaned up drilling fluid (known as "mud") in large machines known as vibratory sifting machines. The vibrating screen assemblies were themselves consumables – they had a life measured in days and needed to be replaced regularly. The patents' claims were to the vibrating screen assemblies which comprised at least two frames with a mesh stretched across each frame. The defendants in that case took used screen assemblies, took them to pieces, cleaned the frames, glued on new meshes and sold the resulting items. In that case, the House of Lords key point was that asking whether the defendants' acts were "repair" or were allowed by an implied licence was not necessarily a useful approach. The question to be asked was simply whether the acts in question amounted to making. In United Wire, the acts in question did amount to making. The decision in United Wire is brief and gave little guidance on how to assess what constitutes an act of making. Both sides in Schütz v Werit relied on United Wire, each saying that the question of "making" should be answered in its favour. Schütz case was that replacing any claim feature was making. Werit argued that there must be more involved and that, in particular, it was important to ask whether the part replaced was any part of the invention of the patent and whether it was a part that was expected to be replaced (in other words, a consumable). The national law provisions relating to infringement in the UK and Germany are based on the provisions of the Community Patent Convention (CPC). Werit therefore felt able to cite a trilogy of German Supreme Court cases that had developed the law in Germany for assessing infringement when parts are replaced (Impeller Flow Meter Case X 2R 48/03, Wheel Tread Case X ZR 45/05 and Pipette System Case X ZR 38/06 ). The UK Supreme Court emphasised the importance of giving considerable respect to decisions of the courts of CPC signatories although it made it clear that there was no obligation to follow such national court decisions (in contrast to the stronger requirement to follow certain EPO decisions in HGS v Eli Lilly  UKSC51). The German trilogy proposed a test that involved looking at whether the invention of the patent lay in the replaced part and whether the part replaced was a consumable (expected to wear out in the normal life of the larger device). (iv) cannot be described as the main component of the patented article. The decision sheds considerable light on the pithy United Wire v Screen Repair Services  RPC 24 decision. Most significantly, it makes it clear that replacing a part which is a claim feature is not necessarily an act of making. Parties will have to look at further factors and key considerations will include whether the part is expected to be replaced in the normal life of the larger item and whether it forms part of the invention. The Agreement on a Unified Patent Court has now been signed by every current European Union (EU) member state except Spain and Poland. The Agreement is still subject to ratification in accordance with the respective constitutional requirements of the individual member states; 13 countries, including at least Germany, France and the UK, must ratify the Agreement before it can be brought into force. Some previous attempts at European patent reform have failed at the national ratification stage. However, after nearly 40 years of trying, it appears that the EU may finally succeed in its goal of re-shaping the European patent system. The Unified Patent Court (UPC) is part of a package of reforms including a Regulation on the creation of an EU Unitary Patent and an associated Regulation on the translation arrangements applicable to Unitary Patents. The reforms have been the subject of much criticism and debate. However, the intent of this series of posts is not to address the controversy, or to offer any value-judgements on the merits of the proposals. Rather, these posts will look at the likely practical effects of the reforms on the conduct of patent litigation in Europe, assuming the proposals are ultimately brought into force. · trials, damages and appeals. For the benefit of non-European readers, the current system can be broadly summarised as follows. An applicant can make a single application to the European Patent Office (EPO) designating the individual European countries in which patent protection is required; protection may be sought in all 38 European Patent Organisation contracting states or in only a small sub-set, depending on the applicant’s needs. Substantive examination is undertaken centrally, but upon grant a so-called ‘European Patent’ becomes a collection of national patent rights, which must be renewed, enforced or revoked (subject to EPO Opposition proceedings) on a country-by-country basis. There are only 27 EU member states, so not every EPO contracting state is a member of the EU. If a patentee wishes to enforce its rights in every EU member state, at present it needs to commence infringement actions separately in the courts of each member state. For example, if a pharmaceutical company holding a European Patent wanted to prevent a competitor from selling products covered by its patent in France, Germany and the UK, it would have to bring three separate infringement actions before the courts in those countries. Even if the British version of the European Patent was revoked before the parallel infringement actions reached the courts in France or Germany, the French and German versions of that European Patent would still be enforceable as against an alleged infringer in those jurisdictions, and the different national courts may in many cases arrive at opposing decisions. The current system therefore leads to duplication in litigation between European countries in some cases, leading to potentially inconsistent results and increased litigation costs. Further, it is often prohibitively expensive for parties to litigate in every EU member state, and current litigation strategies tend to focus on the larger national markets in Europe. The reforms are intended to provide patentees and applicants for revocation with the ability to take a pan-European approach to patenting and freedom-to-operate strategies. The Agreement on the Unified Patent Court establishes a single patent court with the power to issue decisions on the infringement and validity of existing European Patents and the proposed Unitary Patents (see below) which are binding across all contracting EU member states. 1 January 2014 is the earliest date on which the new system could be brought into force under the terms of the Agreement. However, this is a very ambitious timeline, as judges still need to be appointed and trained, court premises still need to be found, and a great many administrative matters still need to be undertaken, so significant delays are to be expected. · Each contracting state is entitled to at least one Local Division, and countries may request additional Local Divisions in certain defined circumstances. At least initially, Germany is likely to be the only country to request more than one Local Division. · Two or more contracting states may ‘club together’ to request the establishment of a Regional Division. The identity, location and composition of any Regional Divisions has yet to be publicly confirmed, although this has been the subject of speculation for a number of years. · The Central Division will have its seat in Paris, where it will hear cases relating to all subject matter except chemicals, human necessities (which includes pharmaceutical products) and metallurgy, which have been allocated to the London section, and mechanical engineering, lighting, heating, weapons and blasting, which have been allocated to the Munich section. At First Instance, judicial panels will generally consist of at least three judges, and the panels will have a multinational composition. Panels of Local and Regional Divisions will be composed of three legally qualified judges, and an additional technically qualified judge may be allocated to a Local or Regional Division on request, and must be allocated in the event of a revocation counterclaim. Panels of the Central Division will be composed of two legally qualified judges from different contracting states and one technically qualified judge. Notwithstanding the above, it is possible for parties to agree to have their case heard by a single legally qualified judge. Local and Regional Divisions may hear claims including infringement actions, applications for injunctions, licence defences and revocation counterclaims. Standalone actions for revocation actions and/or declarations of non-infringement must be commenced in the Central Division, which can also hear all types of cases over which Local and Regional Division have competence. No standing or ‘controversy’ will be required in order to commence a revocation action. Where a revocation counterclaim is made in response to an infringement claim in a Local or Regional Division, the court will have discretion as to whether to hear both the infringement claim and the revocation counterclaim together or to refer the revocation counterclaim to the Central Division and proceed only with the infringement claim. The court structure therefore allows for ‘bifurcation’ of infringement and validity claims, which will be covered in more detail in a later post. On the agreement of the parties, the entire case may also be referred to the Central Division. The Court of Appeal will have its seat in Luxembourg, where the Court of Justice of the European Union (CJEU) is located. Appeal hearings will be presided over by panels consisting of three legally qualified judges and two technically qualified judges. The court will be obliged to refer questions relating to issues of EU law to the CJEU, although many stakeholders have sought to ensure that substantive validity and infringement laws are not the subject of EU law, so as to avoid having the CJEU decide substantive questions of patentability and infringement. It remains to be seen whether, despite the efforts of the framers of the package of reforms, the CJEU will nevertheless assume competence over questions of patent infringement. Regulation (EU) 1257/2012 on the creation of unitary patent protection will apply as from the later of 1 January 2014 or the entry into force of the UPC Agreement, which is likely to be delayed for the reasons noted above. Unitary Patent protection may be requested from the EPO in respect of European Patents granted on or after the date of application of the Regulation. Like existing ‘European Patents’ described above, Unitary Patents will be examined and granted by the EPO. However, on grant a Unitary Patent will provide for uniform protection across all participating EU member states as a single EU legal right, rather than as a collection of individual national rights. Administration and renewal fees will be dealt with centrally by the EPO, rather than by individual national patent offices. Unitary Patents will not be subject to the UPC transitional provisions, and there will be no possibility of Unitary Patent holders ‘opting-out’ of the new UPC system, but the enforcement of Unitary Patents under the UPC will otherwise be substantially identical to existing and future European Patents. It is expected that 25 of the current 27 EU member states will adopt the Unitary Patent. Spain and Italy have challenged the legislative basis of the Unitary patent proposals in the EU courts (although Italy has signed the UPC Agreement), and the Advocate General recommended on 11 December 2012 that the legal challenge should be rejected. The decision of the CJEU itself is still pending. SHIELD: "Saving High-Tech Innovators from Egregious Legal Disputes"
US Congressmen Peter DeFazio and Jason Chaffetz, on February 27, introduced a new bill for consideration by the US House of Representatives. Known as the Saving High-Tech Innovators from Egregious Legal Disputes, or the SHIELD Act (we all wonder whose job it is to create acronym-friendly bill names…), the bill makes it much more costly for a patent troll to maintain lawsuits against active innovators. “Patent trolls contribute nothing to the economy. No industry is immune to these attacks. Instead of creating jobs and growing the economy, businesses are wasting resources to fight off frivolous lawsuits. This bipartisan legislation will curb future abuse by requiring trolls to bear the financial responsibility for failed claims,” said Chaffetz. Indeed, the barrier to entry for patent trolls to file a complaint in federal court in the US is quite low, essentially just filing fees and court costs, plus legal services fees. If a case goes to trial, the litigation costs for each party can easily skyrocket to millions of Dollars. But, generally, the goal of a patent troll is to extract a settlement fee prior to trial. Because of the high cost of litigating, defendants often do settle rather than take on the cost and time burden of litigation. If enacted, the SHIELD Act would make the legal system “pay to play” for patent trolls. A defendant asserting invalidity or non-infringement may move for judgment that the plaintiff does not meet certain conditions of the SHIELD Act, namely that the plaintiff is either (a) the original inventor, (b) a legitimate exploiter of the patent (or that substantial investment has been made in attempt to exploit the patent), or (c) a university or a technology transfer organization connected to an institution of higher education. 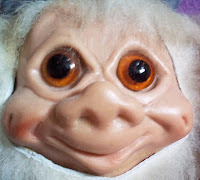 Essentially, if a plaintiff is found not to meet any of the conditions, it is officially considered a patent troll (keen-eyed readers will note that the bill doesn’t even identify them as patent trolls; it uses the more genteel phrase, ‘party that fails to meet at least one of the conditions’”). Once a party is called out as a troll, the landscape of the litigation changes. For one, a prevailing defendant is entitled to an award of recovery of full costs, including reasonable attorney’s fees. Even better, the patent troll will be required to post a bond “in an amount determined by the court to cover the recovery of full costs”. Thus, a patent troll would need to make a significant investment in a claim early on in the litigation process in order to avail itself of the US legal system. By driving up a patent troll’s initial costs of litigation, SHIELD Act supporters hope that trolls will forgo filing dubious claims that they are likely to lose if forced to continue through trial. They also hope that this process will empower more innovators to defend claims rather than feel trapped into paying extortionate settlements. While other bills aimed at patent trolls have previously failed to be passed into law, the SHIELD Act currently has broad bipartisan support in Congress. It is also supported by President Barack Obama, who considers patent trolls a drain on the economy, and has recently stated that the America Invents Act, which he signed into law in 2011, only gets the US halfway to solving the problems with the current patent system. And there is also broad support among the American public. Could this be the beginning of the end for the patent trolls? Many of the cooking recipes in this blogger’s private collection end with „salt, pepper“ without indicating quantities. The skilled houseman or housewife will clearly be able to determine the quantities depending on his or her personal taste and would not contemplate adding ineffective amounts like 5 ppm. This does, however, not apply to the famous person skilled in the art in its interpretation as applied by the EPO. In the decision T 1009/12 discussed here and here, the claim at issue looked very much like a recipe for a composition, wherein the ingredient distinguishing the claim from the prior art was “an oxidant being selected from nitro aromatic compounds”. The specification did neither mention any effects of this ingredient nor did the claim specify any minimum amount or maximum thereof to be used. The quantity was left completely open. According to this open definition the presence of a very small amount of e.g. 5 ppm of said oxidant is sufficient to meet the condition of claim 1 of the first auxiliary request. However, the Board considers that such a low concentration will not cause any effect in view of the common general knowledge of a chemist and the intended purpose of an oxidant. Particularly in the light of the most general range of the oxidant of from 0.1-25 g/l (corresponding to 100-25000 ppm) disclosed in the present application […] it is not reasonable to expect any effect of the nitro aromatic compound in such a low concentration. Therefore claim 1, which does not specify any concentration ranges of the four components at all, is considered to cover embodiments where the mere presence of the nitro aromatic oxidant compound will not produce any effect at all. The implication for the practice is that giving minimum (and maximum) values as well as the associated effects for any ingredient of a composition in the specification and claims as originally is highly recommendable. Failure to do so might result in the feature being completely disregarded in the assessment of inventive step. "Samsung and Apple were ordered Friday to stand off in court once again after a federal judge struck [note for British readers: this appears to be a US idiom, meaning "subtract"] more than $450 million that a jury last August ordered Samsung to pay Apple. "Some of the awards rested on impermissible legal theories," U.S. District Judge Lucy Koh wrote in her ruling. The jury had awarded Apple more than $1 billion in damages total after finding Samsung had copied both the design and software features of the iPhone [for some background see earlier Katpost here]. The new "trial on damages" affects the formula, and thus the amount, that Samsung must pay to Apple. ... Just under $600 million of the earlier award to Apple involving other Samsung products still stands, according to Koh. ... After sifting through 109 pages of jury instructions and their notes and memories from weeks of testimony, a nine-person jury found Samsung was guilty of "willful" violations of a number of Apple's patents and recommended that Apple get more than $1 billion in compensation. The jury did not recommend awarding Samsung any money in its counterclaims. ... Judge Koh issued a ruling denying Samsung's request for a new trial based on the company's claim the jury foreman, Velvin Hogan, was prejudiced against the company because he had been sued by Seagate, his former employer. Samsung became the largest investor in Seagate after selling a division to the hard-drive maker in 2011". While it is gratifying to see that the selection of an inappropriate methodology of damages calculations in US patent infringement trials is a basis upon a further trial may be ordered, it would be even more gratifying if the basis upon which damages awards were made in the United States was sufficiently stable and predictable to enable successful claimants and infringing defendants alike to know the likely range within which an award might be made. This would surely assist both sides in reaching a reasonable settlement without the need to press a claim as far as a ruling and to extend the period of uncertainty that hangs over one of the most time-limited of all intellectual property rights. The seminar on The America Invents Act: a Guide to Patent Litigation and Patent Procedure, hosted in the London office of Pinsent Masons and announced here on PatLit last month, has now come and gone, but this weblog can report that it does at last have a link to Edward Manzo's book of the same name. Edward explains that the book was so new that, for a short while after its publication, there was no link. Anyway, if you missed the seminar -- or even if you didn't -- you can peruse this publication here.